I pulled out a stack of Papertrey Ink stamp sets and set to work coming up with some cards. I ended up with three, but I seriously could have made oodles more of them if I had started on this challenge earlier. I stamped the townhouse from Boards & Beams in harvest gold, limeade ice, aqua mist and ocean tides. I then cut out one of the Half & Half dies from aqua mist cardstock. 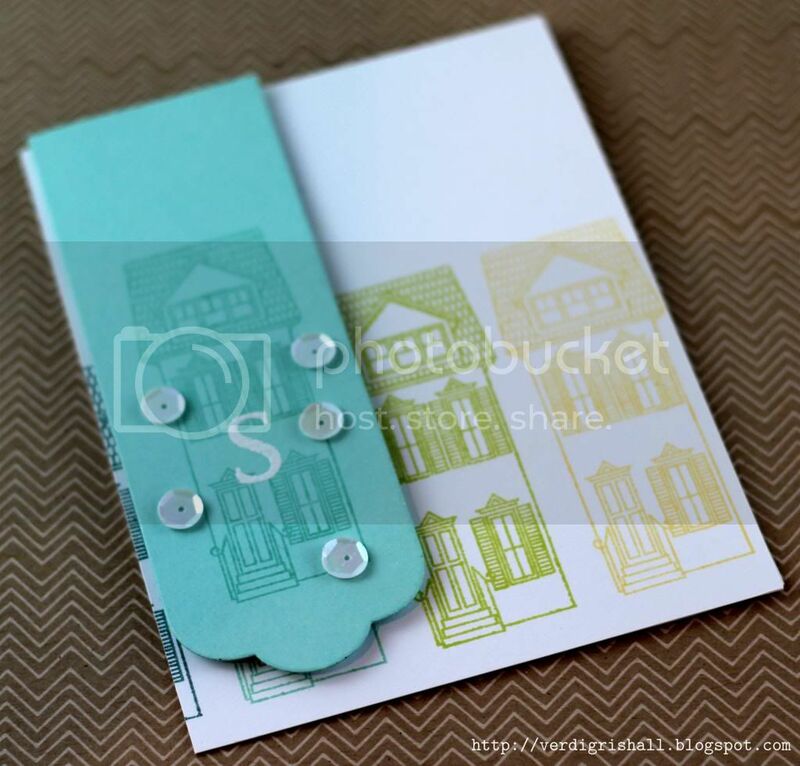 I stamped the townhouse on aqua mist on the aqua mist panel and then embossed the "s" in white embossing powder. I adhered the panel to the card using dimensional adhesive. Last is a sprinkling of white sequins. I stamped the twiggy wreath from Wreath From All Seasons with dark chocolate and over-stamped it with the berry wreath in raspberry fizz and stamped the "s" in charcoal on kraft cardstock. On a piece of charcoal card base I adhered a strip of pink glitter fabric tape and over that I adhered the kraft panel with dimensional adhesive. 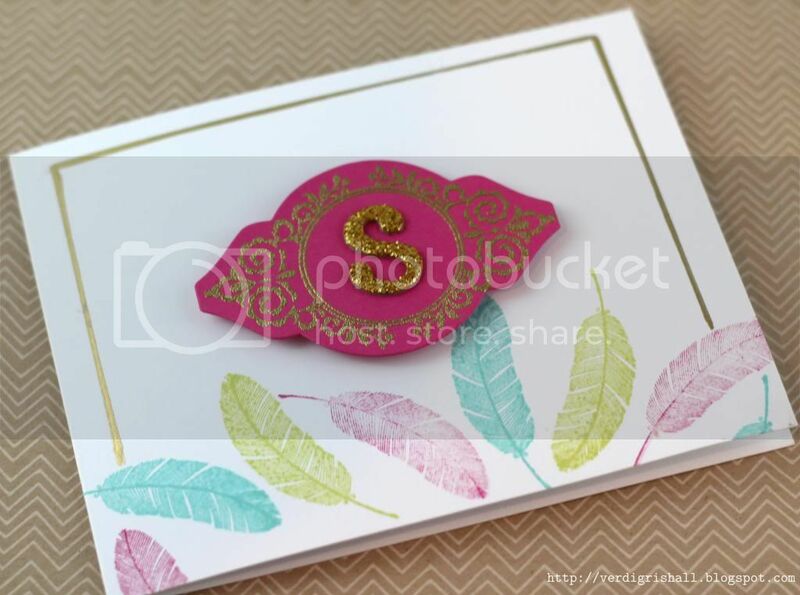 I stamped the feather from Happy Trails (love this stamp set!) in raspberry fizz, hawaiian shores and limeaid ice on a white card base. I cut out the Mat Stack 2 die from raspberry fizz cardstock and embossed one of the frames from Mat Stack 2 Collection in gold. I added an "s" from a gold glitter Thickers. The Mat Stack is adhered with dimesional adhesive. I added a frame using a gold leafing pen. I hope you have enjoyed my takes on the Marvelous Monograms challenge. Thank you so very much for visiting! Great cards. Love the layout of the card using boards and beams. the ones with the wreath encasing the monogram are pretty too! Wow you've been busy! Fantastic cards! All three are just beautiful cards. I think I like the first one best, because I don't have that set and have always admired it. Second card is my favorite--great design! You were really on a roll! Such an elegant collection of cards. My fave would be the 'twiggy wreath', I just love a wreath and this one is perfect with the monogram centre. Shay all of your monogram projects re fantastic! 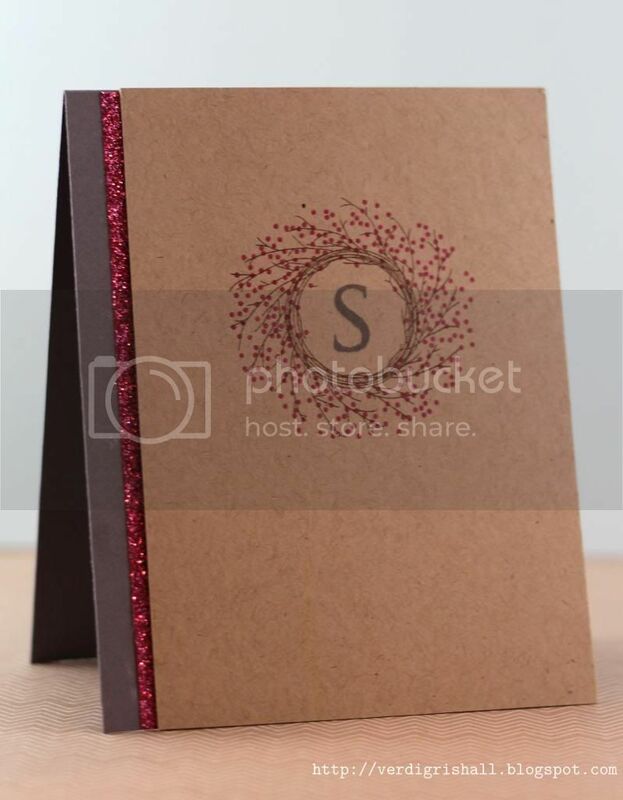 Love the gold embossing on card 3, so elegant! These are all wonderful!! The wreath with the monogram really stands out to me. How fun that you made three cards for the challenge, and they're all different! Great idea to put a monogram on the house, just perfect for a new home card! They are ALL so pretty! My FAV is the different colored feathers! Something about the colors! I also LOVE the glitter strip with the wreath! Oh, these are all lovely! I love that house paired with the Half & Half die! I also love the Wreath of all Seasons and how you used it to frame your monogram! These are terrific. I love that they are all totally different. 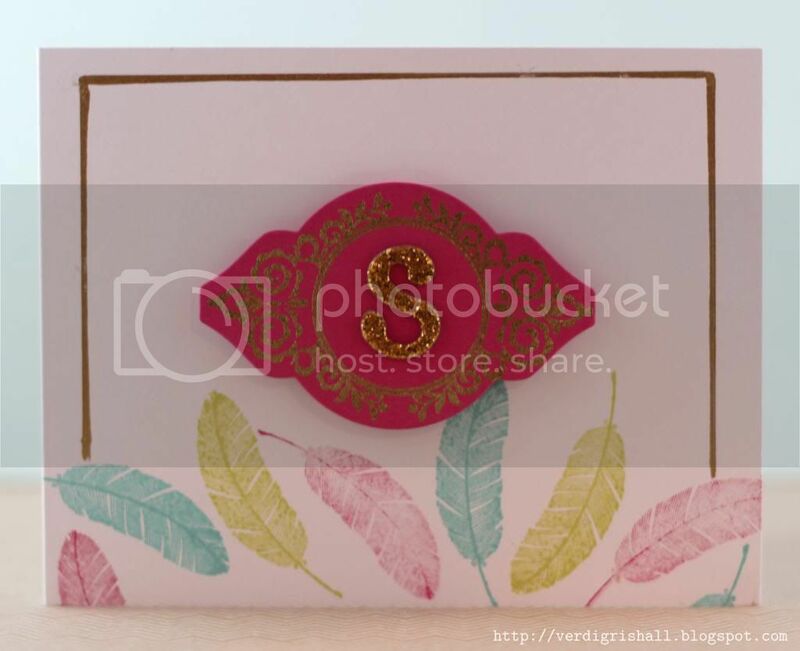 Love the color combo on the first, seeing the second card makes me wonder why I've never purchased A Wreath For All Seasons (the card you created with it is simple yet elegant), and the feathers are awesome on the third. Oh, and I love the glitter details on the last two. These are all great! Really love the monogram in the wreath! Great idea. And the monogram on the house is so cute! 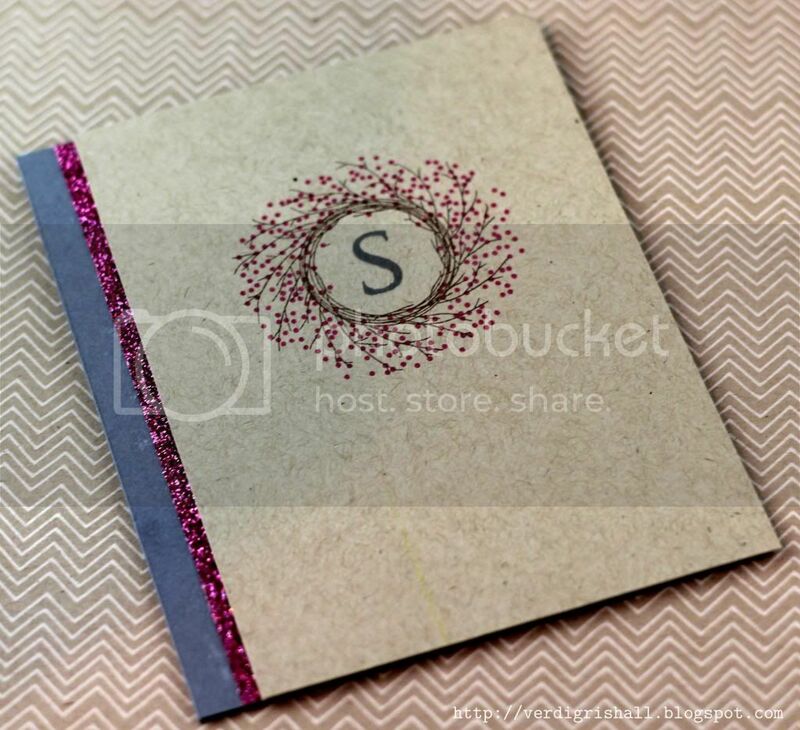 Beautiful monogram cards! I really love the feathers and the wreath! Super job on all your cards! I love the way you used the wreath to frame your monogram~beautiful work! What a sensational array on monogram creations you have made, Shay!! Thanks so much for coming by my place!! Great cards Shay, they're beautiful! Super cute, love all three of them!